Mike Williams’ tenure in Tampa Bay is over. On Friday, the Bucs traded the wide receiver to the Buffalo Bills in exchange for a sixth-round pick in this year’s draft. He will be reunited in Buffalo with new head coach Doug Marrone, who coached Williams at Syracuse. Williams was drafted by Tampa Bay four years ago, and quickly emerged as the team’s No. 2 receiver. But he missed most of last season due to injury. And then there are the off-field issues – the most recent coming late last month when he was stabbed. Police arrested his brother in the case. 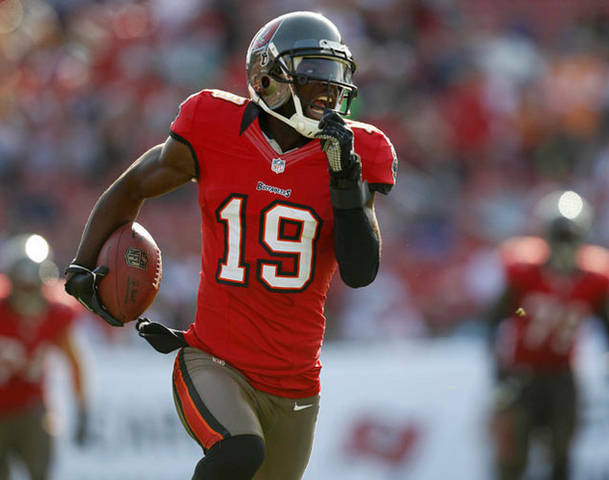 It’s worth taking a look at the Buccaneers’ situation at wide receiver for a moment. You have Vincent Jackson. And then, you have….well, I think you see the point. The team could sorely use another guy who can stretch the field besides V-Jax. It looks like that is yet another area to address in this year’s draft, in a year where Tampa Bay could use help just about everywhere.